MANAMA, Bahrain – 115 representatives from the militaries of 27 nations, law enforcement agencies, the shipping industry andvarious governments met in Bahrain, Dec. 12-13, to discuss counter-piracy operations in the Gulf of Aden and Somali Basin. The 22nd Shared Awareness and Deconfliction (SHADE) meeting was chaired by the North Atlantic Treaty Organization (NATO), and hosted by Combined Maritime Forces (CMF). The SHADE meeting, held every three months, focuses on improving cooperation and coordination of the maritime forces operating in the region while considering new initiatives and programs designed to disrupt and ultimately prevent, future pirate attacks. 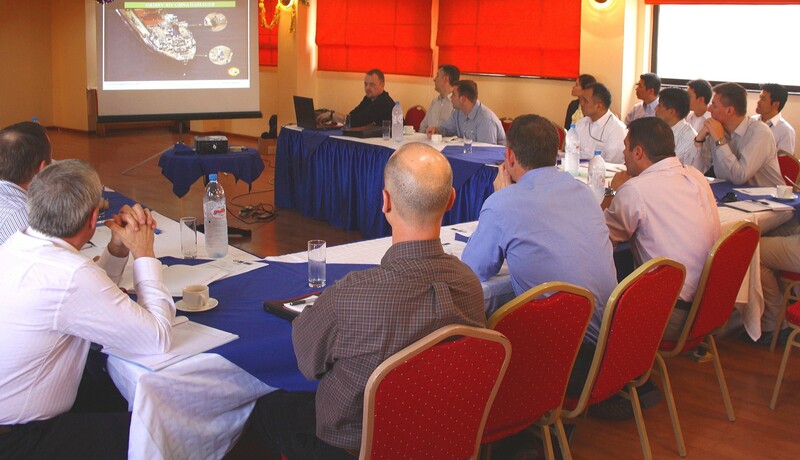 The participants heard updates on the marked improvements of counter-piracy operations and success stories from each of the military maritime forces represented, as well as a campaign assessment report from mission analysts. A broad range of new programs and initiatives were discussed; at this meeting, representatives agreed to build on the plans developed in the last quarter. All participants agreed to conduct further outreach activity aimed at raising awareness of the dangers of conducting piracy, establish further shared communications procedures, effectively synchronize future operations, and to further capacity building endeavours throughout the region. The Shipping Industry representative gave feedback on the introduction of BMP4 (Best Management Practices for Protection against Somalian Based Piracy) issued in August 2011. BMP4 provides guidance and suggests practices to ship operators transiting the high risk area. BMP4 has been reprinted and translated into Mandarin to complement five other language versions, in response to the demand for guidance by the worldwide shipping community. 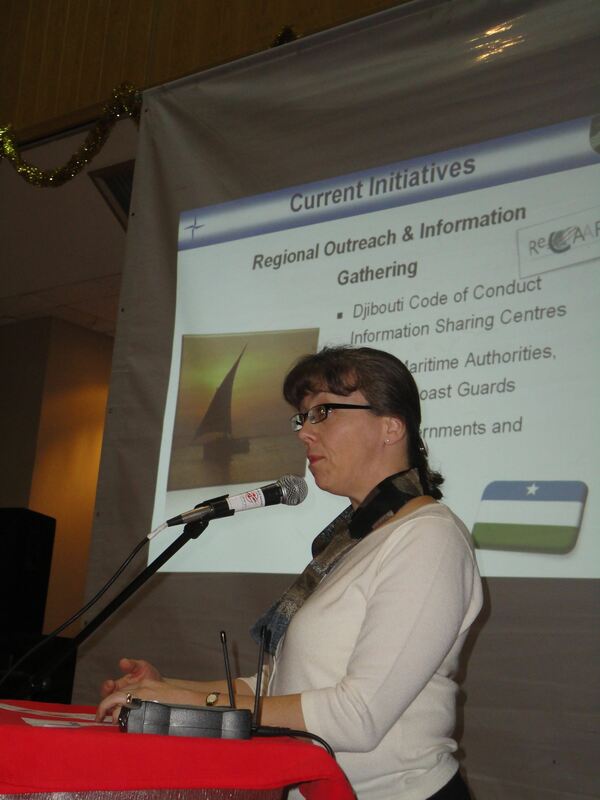 EUNAVFOR representatives outlined the work conducted to reach out to the international yachting community and NATO Staff articulated a project on the dhow trading communities to inform them of the dangers in sailing unaccompanied through increased threat areas. 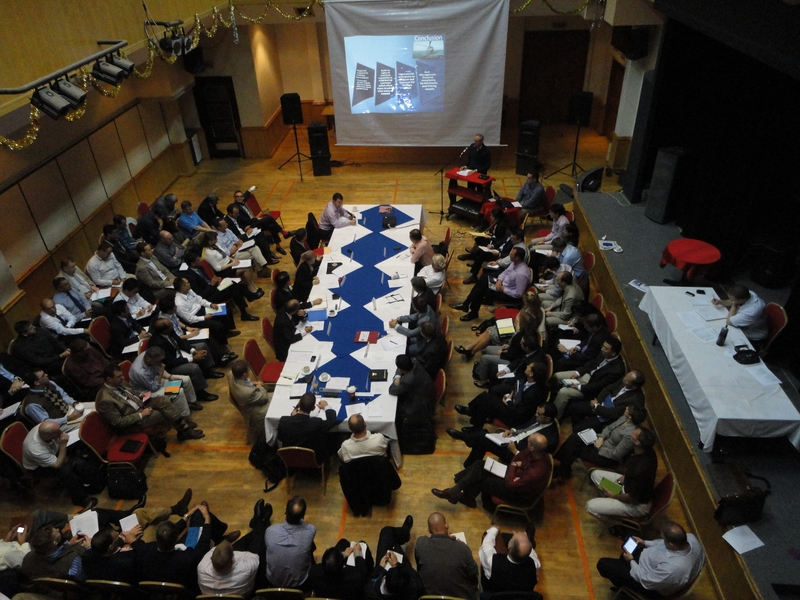 SHADE delegates encouraged increased contact with Somali and Omani fishing communities to improve situational awareness. The SHADE concept was established in Dec. 2008, in order to coordinate the efforts of the myriad of military forces escorting convoys of merchant vessels and conducting counter- piracy in the region. Tactical and operational commanders meet with their counter-parts to provide awareness of current and planned operations, analyse potential new threats and provide feedback to the Contact Group for Piracy off the Coast of Somalia. SHADE participants meet regularly in Bahrain which is the home of the Combined Maritime Forces. At the 22nd meeting, Captain Chris Chambers USN Chief of Staff, Combined Maritime Forces, who was one of the founder members of the SHADE group, gave a retrospective overview remarking on the tremendous progress made over the last three years. At this regular coordination meeting, the military community from the nations attending have gained valuable insights into countering the threat of piracy to global shipping.